What sort of a man is Gordon Brown? What kind of Prime Minister will he make? Can he stem the growing unpopularity of the Labour Party and win it a fourth term in office? This book, written in the first three months of the year in which Brown becomes Prime Minister, is both a biography and an assessment. Francis Beckett interviewed several of Brown’s closest political collaborators, and had a background briefing from Brown himself. He says the popular image of Brown is entirely wrong: he found an amusing, erudite and charming man who will bring his own style to 10 Downing Street – not Tony Blair’s style, but at least as stylish. Beckett believes that a Brown premiership will mark a fundamental break with the Blair years: a new and different relationship with the USA, a broader foreign policy which is able to look beyond the Middle East, a new and more transparent way of reaching decisions. 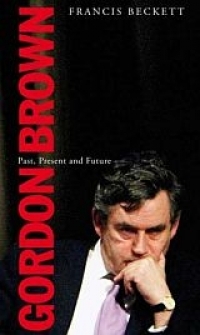 In a groundbreaking final chapter, he draws on the best evidence available to predict what Gordon Brown will do with his new job.